For all of us who own Apple iOS devices, which includes iPhone, iPad and iPod touch battery life is a big issue. Despite being better than most competing products the battery life of iOS devices is far from satisfactory and keeps getting worse as they get old. Now to help us in tackling with this issue an Ex-Apple Store Genius has shared his ultimate tips that can significantly reduce battery drain on iOS powered devices. Scotty Loveless on his blog OverThought notes that he made it his mission to “discover the specific reasons for iOS battery drainage” and says “product of my years of research and anecdotal evidence I gathered in the hundreds of Genius Bar appointments”. In this post we will tell you about the tips shared by Ex-Apple Store Genius that can help you reduce battery drainage on your iPhone, iPad and iPod touch and boost your device’s battery life. All of these tips work for iOS 7.1 or earlier versions of the operating system. Before you begin implementing the tips shared by Scotty you should first check how severe battery drainage problem is on your device. He recommends that you check the difference between usage and stand by times of your device. You can find these details by going to Settings > General > Usage. If your Usage time is significantly lower than the standby time then you are fine but if its not then your device is having severe battery drainage problems. This however may not be true for those who constantly use their device after unplugging it. If your device falls in this category then you can perform the following test on it. So here’s the test: write down your usage and standby time, press the sleep/wake button (or lock button, as some call it) to put the device to sleep, and set the device down for five minutes. When you come back, take note of the change in time. If your device is sleeping properly, then the Standby time should have increased by five minutes and your Usage time by <1 minute . If your Usage time rises by more than one minute, you have a drain problem. Something is keeping your device from sleeping properly, significantly shortening the time it will last. After performing this simple test you will know if you have a battery drainage problem or not. If you don’t then you do not need to bother following the steps listed below. 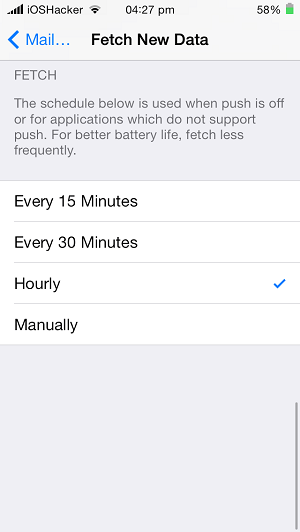 However if you do have iOS battery drainage issue then these tips can help you in saving that valuable battery. It is a known fact that location services and background app refresh have negative affect on device’s battery. However Scotty says that you don’t need to turn these features off for every app you use in order to stop battery drainage. He recommends that you only turn them off for the Facebook app. To disable location services for Facebook go to Settings > Privacy > Location Services and turn off the toggle in front of ‘Facebook’. To disable background refresh for Facebook go to Settings > General > Background App Refresh > and turn off the toggle for ‘Facebook’. 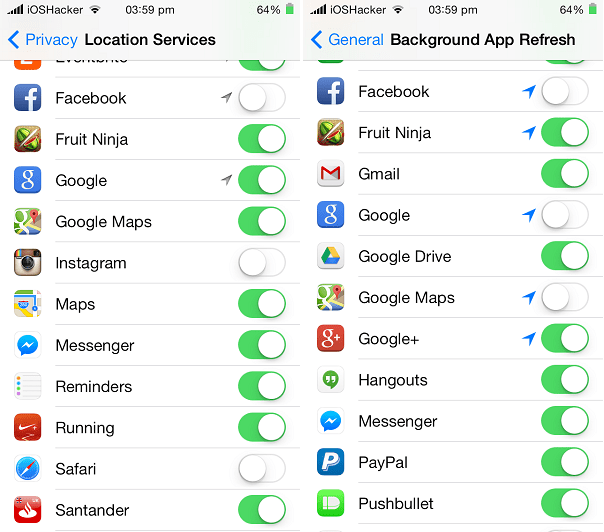 In addition to Facebook you can disable both of these features for other apps as well especially the ones you don’t need to share location or want them you refresh in the background. This will not only save your device from battery drain but also save your data if you are on 3G/4G. There is a myth among iOS users that closing apps that are running in the background will save battery drainage. That’s not true as when you exit an app by pressing the home button iOS freezes that app and keeps it in the RAM of the device. The app is subsequently closed (although the app’s preview keeps appearing on the app switcher) when system needs more memory for other tasks. iOS takes care of this stuff itself and does not require user to close apps manually. However when you close the apps manually the app’s data is deleted from the system’s RAM completely. So if you need that particular app again your device will have to load all of it again, using more of your battery. For example if you close the mail application but after a minute or two you decide to check your inbox again. The moment you tap the mail app icon the whole app is loaded once again using power of the device. So the key here is you don’t need to close apps running the background at all. All you have to do is use app and relax while iOS takes care of this for you. For everyone who relies on email for communication getting it on the right time is very important. iOS has push email feature that fetches the email as soon as it arrives. However this can negatively affect your device’s battery and cause drainage. 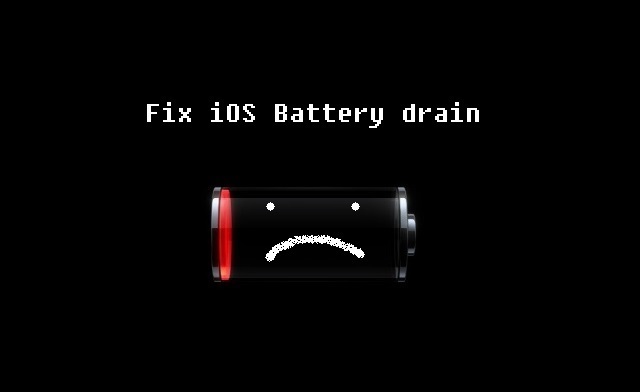 To solve this problem and see if this is the culprit in your iOS battery drainage problems try disabling the feature altogether to see the affect. You can also try reducing the frequency of refresh to 15 minutes, 30 minutes or 1 hour depending on your use. There are several other factors involved as well that are explained on the OverThought blog. To change fetch settings go to Settings > Mail, Contacts, Calendars > Fetch New Data > Fetch. The unnecessary push notifications coming from different apps and games can also cause battery drainage. The best way to deal with this problem is to stop these apps from sending you push notifications. This will not only prevent them from affecting battery life but it will also make things less annoying for you. These push notifications are especially harmful when your device is sleeping. Whenever a push notification comes your device wakes up and screen lights up for a few seconds. While 1 or 2 notifications might not matter that much things get worse when you are getting 10s of them every night. To turn off push notifications for specific applications go to Settings > Notification Center > Tap on the app’s name > Select ‘None’ as alert style and turn ‘Show on Lock Screen’ off. Apple is now offering Extended Battery Life test for users of iPhone 5 and above in which it gives users a detailed report about their device’s battery usage. 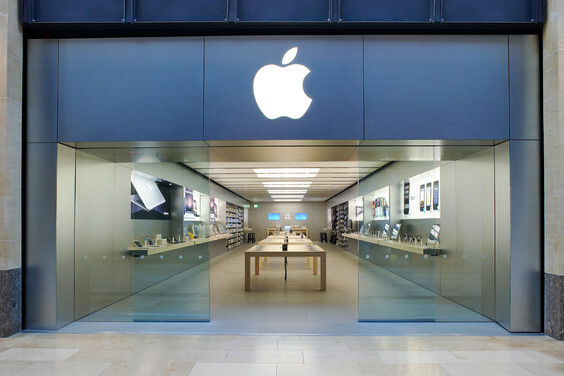 For this you have to set up a Genius Bar appointment and go to your nearest Apple store. This test is important if all of the tips mentioned in this article have failed for you. Scotty notes that if your device is in warranty and there’s a hardware related fault then the good folks at the store can even replace your battery for free. When you are in an area where there’s poor network coverage your iPhone will put in additional resources to find signals and keep you connected, which uses more power. If you don’t need the cellular connection at that point you should turn the Airplane mode on. People who care about battery drainage a little too much normally tend to check the current status of their device’s battery more than they should. This can have a negative affect on the battery life since you are turning on the device’s display even though you don’t need to use it. Scotty believes that you should stop obsessing over your battery’s state and leave the device alone when you are not using. Of course you should do that after you successfully implemented all the steps mentioned above. Have any other tips that you would like to share with your fellow iOS users? 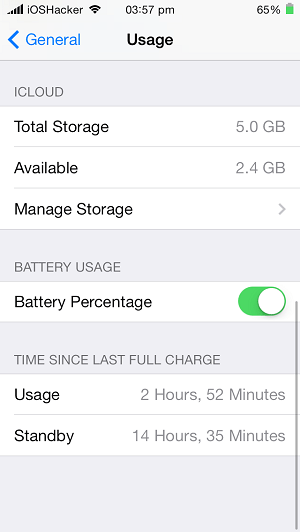 Want to share your experience with iOS battery life? Use the comments section below.